For more than 40 years, consumers have known to "Bring Your Car to Milex" for complete auto care. 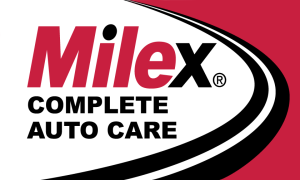 The Milex franchise originated as Milex Tune-Up and Brake in 1967, becoming Milex Complete Auto Care in 2006. Milex is the source for general automotive repair and maintenance, specializing in all aspects of mechanical repair. Milex service centers are independently owned and operated franchise locations under Moran Industries, Inc., a franchisor of automotive repair centers.